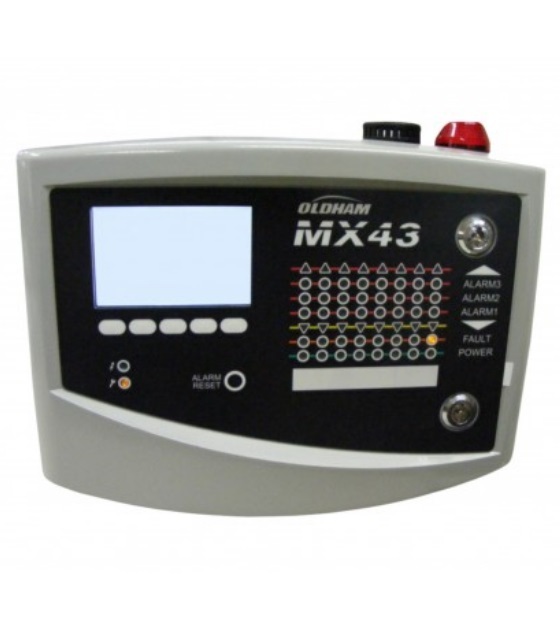 The Oldham MX 43 is a fully scalable analog and digital controller that has been designed to continuously measure and control gases in the atmosphere. Both digital lines and analog channels are managed using the MX 43 gas detector. This covers all needs for a wide variety of gas monitoring applications. Up to 32 detectors can be distributed on 8 lines using MX 43 digital technology. This permits increased cost savings.